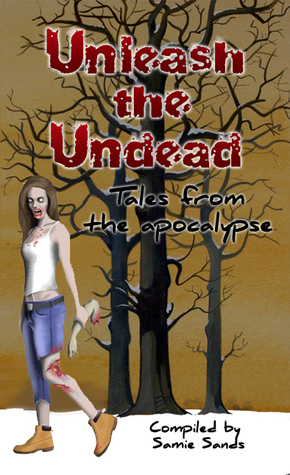 Love zombie short stories? This collection is a must! Great, compelling, addictive, gross, and graphic. In a world that loves all things zombie with the likes of ‘The Walking Dead’ and an endless array of movies and books exploring the sub-genre in horror, what more is there to say? Read this frightening collection and find out! A deliciously gory feast for all zombie/horror lovers seeking something new and fresh, bringing a new lease of life to the world of crazed cannibals. This book gets to the bottom of why we love ourselves some cannibalistic hoards! Each story is ingenious and had me hooked with some interesting mixtures of genres. All authors brought their A game to the table. An explosion of creative collaborations scaring the life from us! Different, unusual, each contributing something new to the zombie sub-genre. So many shorts, none of them alike, each unique and equally satisfying. However I do have some favourites that went that extra mile to bring horror fans what they crave. These shorts are cringe-orific, but you’ll still be clawing your way through for more. A collection of apocalyptic tales each as terror-tastic as the last. This book will take you on an unforgettable journey. The first story is a mix of conspiracy, government and zombies, thrilling, exhilarating and tonnes of breathless suspense, with some interesting characters taking centre stage. I haven’t read anything like this short and thoroughly enjoyed it. My favourite is ‘Delta Sigma Dead’ by the very talented writer Dale Herring. Original idea, and portrays the desperation of a guy willing to do anything to get into a frat house. Quick, sick and satisfying. We also have a slightly poetic account, weaving in traces of emotion, with Klarissa Del Rosario’s ‘The First Zombie’. A truly great one is ‘Don’t Cry’ by Rob Shepherd. It’s very character orientated, incredibly suspenseful, fast paced, and had me hooked throughout. ‘Leather’ was an interesting one to say the least, mixing a bit of kinkiness with flesh-eating, hats off to Kayleigh Edwards. If you’re looking for something to feed your cravings waiting for the next episode of ‘The Walking Dead’, then this book will most certainly appease. Zombie fiction in general continues to grow and advance over decades, in both literature and on screen, all trying to spice it up, bring something ground-breaking to the table. ‘Unleash The Undead’ will be one of the crucial landmarks in the growth of mindless savage literacy. You worry there are only so many things that can be done with apocalyptic fiction, that eventually it’ll become tired and monotonous. After reading this, that fear will be abolished. Some stories even bring a new set of rules, or answer questions that have never been clarified. Poetry, I felt, was a nice insertion, the rhymes regarding ferocious skin-munchers. ‘Feast For The Dead’ is another one I enjoyed, I mean come on, zombies on a plane, is there anything more alarming? But talk about location! Each story witnesses people being made victims in some very unusual and intriguing places. Sidebar, some nice illustrations breaking up the text. But all in all, this collection was superbly sick, deliciously demented and astoundingly original. I recommend all horror and zombie fans pick up a copy now. This will be one feast you won’t forget!